Raise your hand if you were one of the millions contacted that you had bought possible listeria contaminated foods. That would include me. The ORGANIC edamame from COSTCO. Bought in 2014. Yep, it took two years for them to figure out they had a problem. And people wonder why I stopped buying as much processed food. Why I run from my CSA to Friends and Farms to get most of the basic food we cook and eat. Why I do pick your own farm food, and process it myself. We have seen three different recalls in May. CRF frozen vegetables and fruits from everywhere, it seems. Rice from Trader Joes and “pictfresh” veggies at Harris Teeter. Nature’s Promise at Giant Food. Around here these stores provide most of the pwople who live in the area with their weekly groceries. I wonder why we have all these regulations driving our small local farmers crazy, while we allow mega producers to go TWO YEARS with possibly contaminated food. Thankfully, that edamame didn’t make us sick. And, we haven’t bought grocery store frozen food in quite a while. I have become convinced that the closer we remain to the source of our food, the better we have it. Since that “organic” label isn’t a guarantee that you get better quality, I think I will rely on knowing where my food originates. 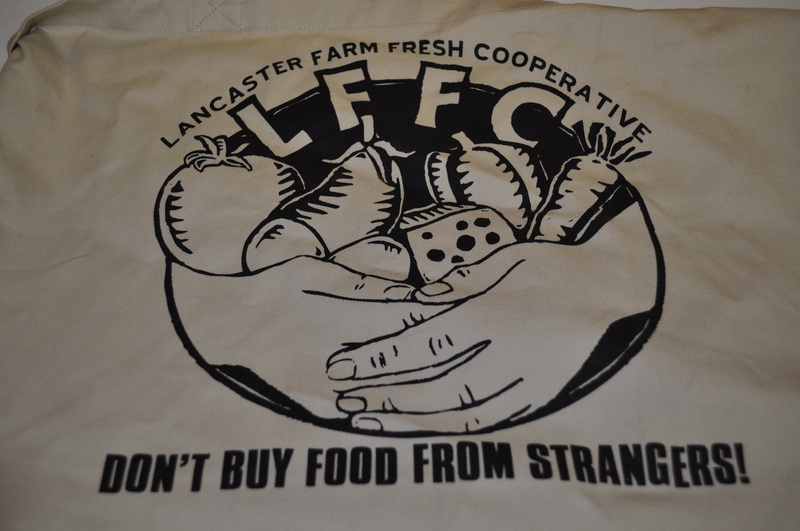 The Amish cooperative that gives us much of our food has that motto. Along with this philosophy. If we support our local farms and farmers, who feed their families with the same food they sell us, we wouldn’t have to worry about the industrial processing which may or may not contaminate our food. It’s not as easy to take time to buy from small farms and producers, but at least you have a face to match to the food you buy. Join a CSA if you want to take more control of the vegetables you get. Find a local meat producer to have fresher meat without hormones, antibiotics or questionable handling. Pick your own, at places like Larriland. 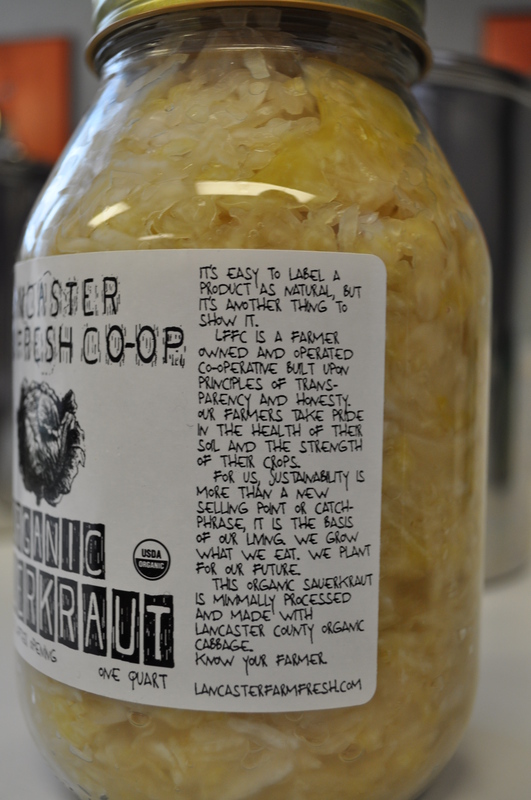 And, by all means, don’t just assume because it’s organic, that it’s better. 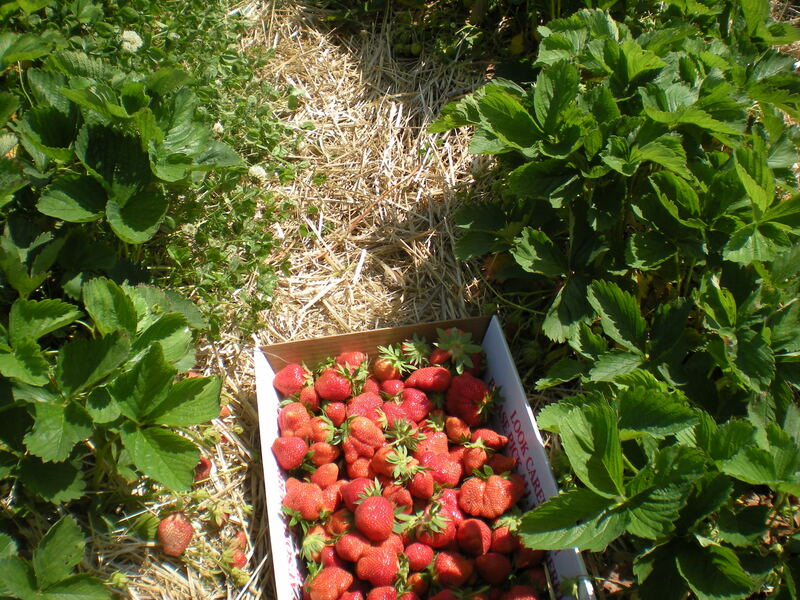 Farms around here take great care in growing food without undue use of harmful pesticides. They are an affordable alternative to mega-company organic stuff that costs more without being any better. Posted in Commentary, CSA, Farmer's Markets, Farms, Food, Friends and Farms, LFFC and tagged CSA, farmer's markets, farms, Food, local businesses, Locavore, real food, value of CSA. Bookmark the permalink.